Congratulations to Nicolas Claris: Sinar to feature his work for 2008! ROFLMAO.... you should make a photoshop montage, Nicolas in totally wrotten clothes, no shoes, kinda the "sleeping rough the last 3 years" look, mega Yachts in the background, a big smile on his face and the Hy6 in his hand with burgundy bottle bottom taped to it instead of a lense. I'll mention this to my SO, the new Canon 14mm will seem like a bargain! Again, Congratulations Nicolas. Looking forward to seeing more of work! I'm still astounded by that first picture. I can almost ouch the sail and push at it it looks so real. That's impressive to me. The money? Don't worry about it. Do what other's do, use a credit card! Many a penniless guy did that. Leonardo took the plunge and that's how he got started in MF, albeit with Mamiya and Phase One. When you show clients images of a quality they have never seen before, that opens doors! One just needs the right milieu to work in and guts! Ahser - I have the guts and many of the connections, I have a credit card but I don't think I can take the plunge. That's what I thought as well, it is jaw dropping in deed. Since the Hy6 was announced I followed that with great interest, and read what ever I could find about it. I followed discussions where Rainer was involved, and learned a good bit. However, I also had concerns for such a system to be used in challenging situations, irish sea- and landscapes being the passion of my life, hence I asked Thierry about the usability in that respect. If I am not close to the Atlantik for a few days, I start feeling sick in a way. The ocean is a life long love affair that has no comparison. Funny enough, a few days after I contacted Thierry this great news on Sinar/Nicolas hit your site, and it more than answered my pondering on this point. A few years ago, I sat for many hours in one spot because I had observed "the light to explode" there at a certain time before and I wanted to get that. I can imagine what could be achieved with a Hy6/emotion LV in such a scene. While stitching is a nice way to enhance resolution, it is not valid for a certain type of photography of course, and that is where the Sinar/emotion excells beautifully from the little I saw so far, it's ability to capture the smallest nuances of light and texture. What interests me the most is the final performance, the print. I can not wait to see it in Reality! I have the highest expectations in terms of, in Lack of a better word I just call it "3d~ish look", a look that can not be achieved with the best available DSLR's these days, this in fact is more than likely one of the main reasons for the exceptional quality of such system. DALSA Semiconductor has today announced that it has developed the worlds first sensor with a total resolution of over 100 million pixels. To be more specific this single sensor, developed for astronomy, has 10,560 x 10,560 pixels, 111 million in total. The active area of the sensor measures approximately four by four inches and has a 9 µm pixel pitch. This sensor has been developed in conjunction with Semiconductor Technology Associates for the US Naval Observatory. Usually, students had to go to the reception and get a key for one of the rooms to get access to concert grands, sign up with time and their name and approximate return time, then sign again when they returned the key. However, late in the day, often enough students forgot to lock the rooms, and this was when I sneaked in and usually found a room, needless to say, I had the time of my life. This went on for many weeks, until I was caught by the Dekan himself, who I was told later by my Professor had a hearty laugh about that, of course, when he caught me, he gave me Hell and escorted me out! I'm pleased to announce an article on how Nicolas claris came shoot with the Hy6! Nicolas Claris featured Sinar Photographer for 2008. 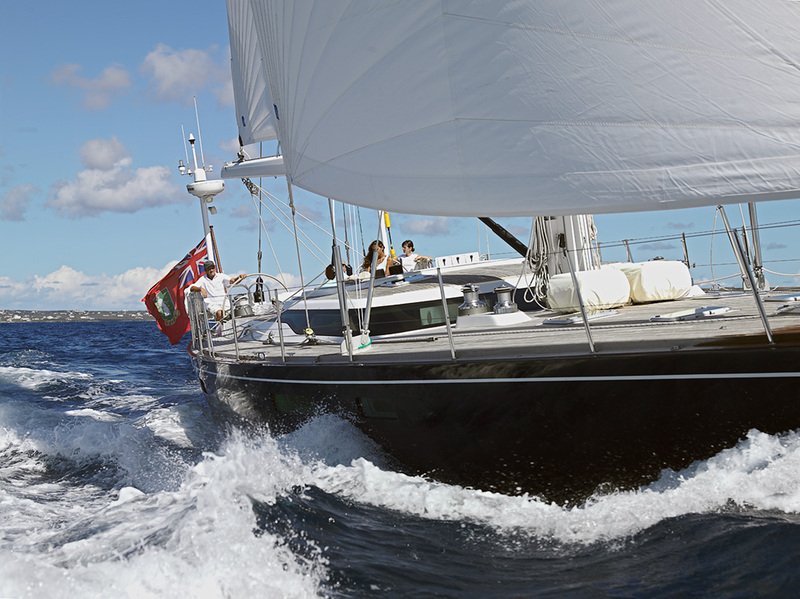 How OPF and Sinar got together to look at the Hy6 in the most physically challenging shoots on the high seas. is here ! This is the first taste of what we are doing. There's a lot more ahead! Bravo Nicolas for this achievement and well-deserved recognition. And thanks Asher for the fine article. What are you shooting with now? Amazing that Nicolas is so moved and this is, I assure you a very genuine experience. It's exciting to see someone at a particular stage in their work make a step up. Sometime tools do open up capabilities. Leonardo shoots with the Phase one back on a just a used Mamiya and this risky investment was made when he had no cash, none, zero! Still it was a good move as it allowed him to move into the fine art photography market in a big way. Nicolas has posted architectural images too and they are in a new thread here from his Hy6 shoot of a Frank Gehry masterpiece in Basques, Spain. Worth a visit! The specs in the Hy6 english broschure stated: "Alternatively on internal 6 GB/3 GB solid-state memory for up to 160/130 images"
Thanks for pointing me to the great shots of Nicolas. I'm still shooting with the 1Ds2, for a number of reasons. I've been very troubled with the 50/1.2, which draws just beautifully, but which has serious focusing issues up close and can be erratic when stopped down. Since this is the only lens with which I have encountered these problems, there is apparently little that CPS can do, although when I have the time I'll drop it off. I've been very troubled with the 50/1.2, which draws just beautifully, but which has serious focusing issues up close and can be erratic when stopped down. Since this is the only lens with which I have encountered these problems, there is apparently little that CPS can do, although when I have the time I'll drop it off. I thought this was partly the 5D! I turn the camera off and back on and retry. One of those annoying things. still that's the one lens I use 99% of the time! I have increased my 4-letter word frequency! It's a place where you are welcome to post comments and questions! We have created a new section on claris web site for the Sinar photoshoot series. Can you be more explicite please? What article are you referring and which 1DsIII image are you talking? sorry to bother you with this and I realise the articles are a few months old. I read 1 article where you were sitting with Mr Claris and in the article you asked the Printer to stand beside a picture of a Yacht .. and you remarked on the quality of this huge print .. taken with 1Ds III. Thank you for the welcome and taking the time to anser me. I am interested in this 1Ds III quality issue because I am thinking about moving from 645 to DSLR. Thanks again. here is Nicolas, not Asher! But I don't think one may compare DSLR and MF cameras… they are simply not achieving the same goals… a bit like a Ferrari and a Rolls Royce. However I have developed a sort of a market for very big images and I want to be certain that if I move to the 1Ds III that the quality will be as good as the MF/Velvia combination. I've put up an example image here for you to test with your output requirements (I didn't want to 'pollute' this thread too much, so I created a new one with the details). You could print a crop at various sizes to see if it's up to your requirements. The resampling engine used for printing can also make a big difference. Depending on the type of subjects you shoot, I would also suggest to consider stitching if your requirements include short distance output viewing conditions. thanks for the kind words, always appreciated! Ferney Voltaire is certainly a nice place in Fance (very close to Switzerland) but I don't follow you! are you there? Do you have any website or online galleries were could see your pictures? Do you travel… for your photography or another job? Uhho! googled and found the other side ;-) ! This is top drawer work! Nicolas Claris featured Sinar Photographer for 2008. How OPF and Sinar got together to look at the Hy6 in the most physically challenging shoots on the high seas. Credit- Nicolas Claris © 2007 All rights reserved. Do not copy. 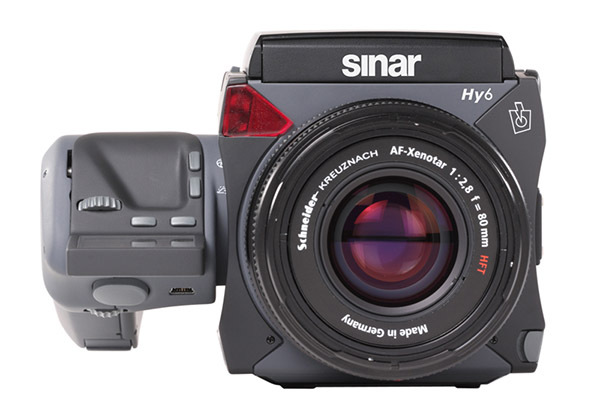 Read more on the Sinar Hy6 here. This is a special piece of news that I wish to start way back to give Nicolas Claris my personal thanks and recognition for his work in OPF also for his recent awards and honors. An article will be posted shortly giving the full story. The photos is amazing... The camera looks good as well!! !